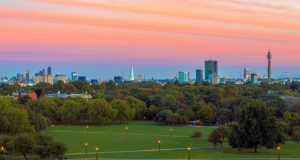 It is not unreasonable for a property owner to decide to deal with the letting of his property himself and save the costs of letting and management through an agent. More and more, however, traps seem to be set for the unaware landlord and even many agents. Dangers certainly exist for agents who do not specialise in lettings; perhaps they are sales agents trying to boost their income by doing some lettings, imagining that it is a simple process. It never was simple and certainly isn’t today! A recent example of this is the Government’s ‘How to Rent’ guide. I would suggest that many landlords and agents are not aware of the requirement to give this guide to the tenant when they take a tenancy. Even those who are aware may not realise that this guide has already been updated several times and the most recent version must be given to the tenant or it will be invalid. I have new tenants moving into a property early in August. I decided to get ahead of myself and get all the paperwork prepared in advance. I knew that there was a new updated ‘How to Rent’ Guide issued in June this summer so I downloaded it, printed it and added it to the pack for the tenant. Had I blinked or even been away on holiday I might not have realised that it was pointed out to Government that there was an error in the new Guide so yet another version was produced in July and this was the version that I must give my tenants when they move in in August. More paper, more printer ink wasted! The danger here is that if the unsuspecting agent or landlord uses the 26th June version and then serves a Section 21 Notice and seeks possession of the property through the Courts the possession may and probably will fail. Who would have thought that yet another version would be produced on the 9th July? 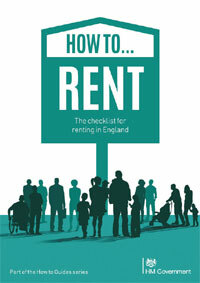 How to Rent has been updated several time – the latest issue must be given to the tenants. Service of Section 21 notices used to be a relatively simple affair – as long as one ensured that the correct dates were used. The tables have turned on this matter; as long as two months’ notice is given to the tenant the notice can expire on any date being the end of the tenancy or thereafter (providing that four months of the tenancy have elapsed). Conditions surrounding the validity of Section 21 notices are now numerous as we have discussed in previous articles. There is no publicity for the general public on this sort of issue. Hopefully agents will be members of ARLA or similar professional bodies who will keep them informed; if not how would they know? The occasional landlord, however, will have great difficulty in keeping up to date with so many changes. Yet another Housing Minister has ‘bitten the dust’. With the resignation in July of David Davis, Dominic Raab has been appointed ‘Brexit Secretary’. This means yet another change in Housing. Kit Malthouse was appointed Housing Minister on the 9th July. Since May 2010, seven new Housing Ministers have come and gone – with none lasting long enough to get to grips with the brief and produce a coherent set of policies to address the housing crisis. Malthouse is the eighth incumbent since the election in 2010 and the 17th in the position since 1997. This makes for a very unsettled time for residential lettings. Will suggested policies be implemented and if so will they happen within the timescale already set? Will this (unfortunate) idea of three year fixed term tenancies still be pursued or will Government understand that with education and agreement any tenancy can be for three years under existing legislation. What we need is publicity and loads of it instead of further legislation. Educate tenants to ask for longer lets; educate landlords to offer longer tenancies. It has been suggested (a sweetner?) that there could be a break for landlords and/or tenants at six months. What if that timescale does not suit the landlord? What if ten months might have suited him better? Agents have a duty to suggest longer term tenancies to landlords. Stop thinking of renewal fees to landlords in the short term and think long term of the future of the industry. There is no way that these proposals will encourage investment in rented property. Private landlords will reduce their portfolios and invest where they can have more flexibility for their funds. This will have the effect of reducing stock and thereby increasing rents.